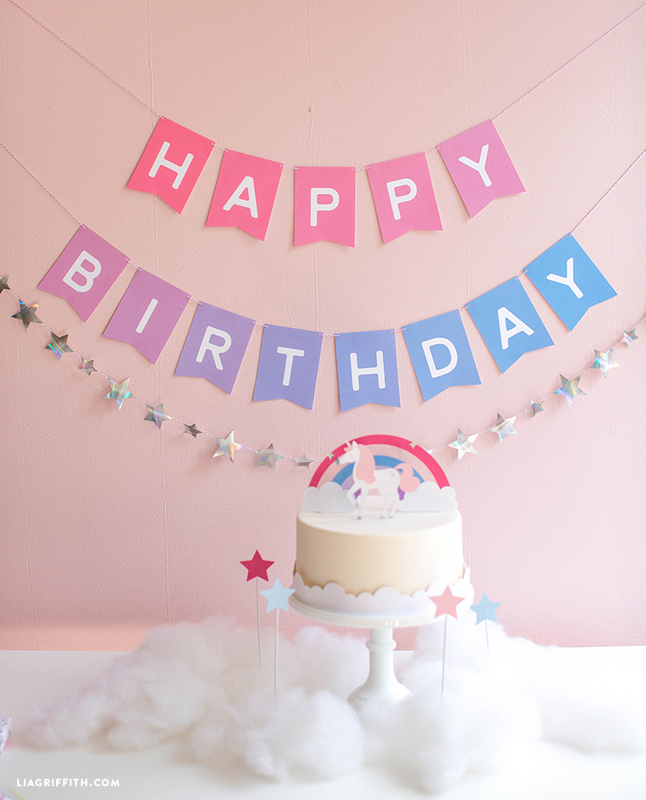 This ombre printable birthday banner reminds us of cotton candy skies. It’s a fantastic way to add some fantasy to your next birthday celebration. All you have to do is gather the tools and materials listed below and follow our easy breezy steps. 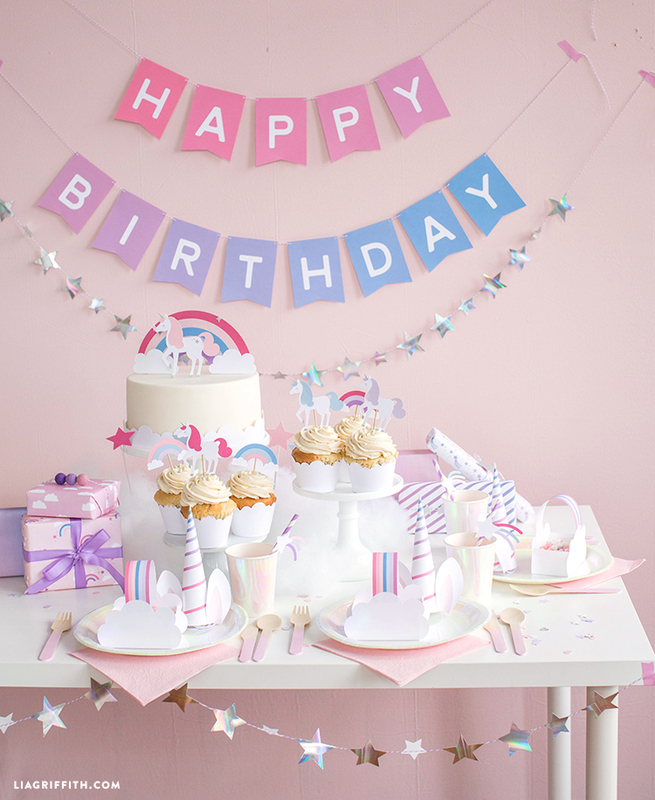 We have assembled everything you need to create your own enchanting unicorn celebration. 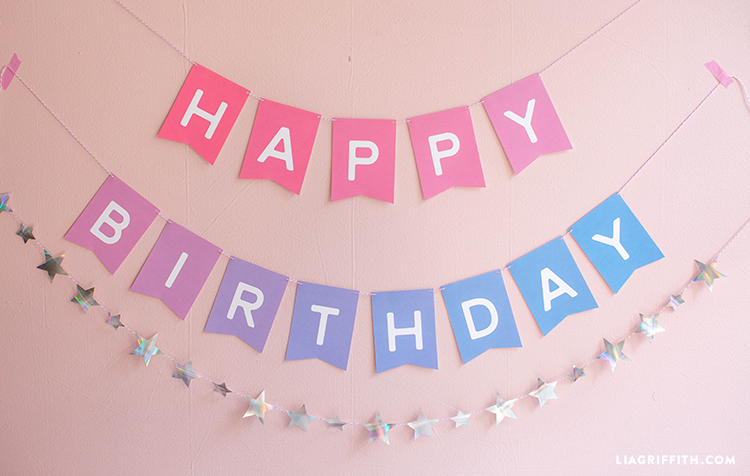 This ombre printable birthday banner matches perfectly with our other unicorn party crafts. Feel free to coordinate all of these projects to make your party dreams come true. Stay magical crafters! Print onto white cardstock paper. Cut out with scissors or with a craft knife. Punch out holes in the top two corners of each letter banner. 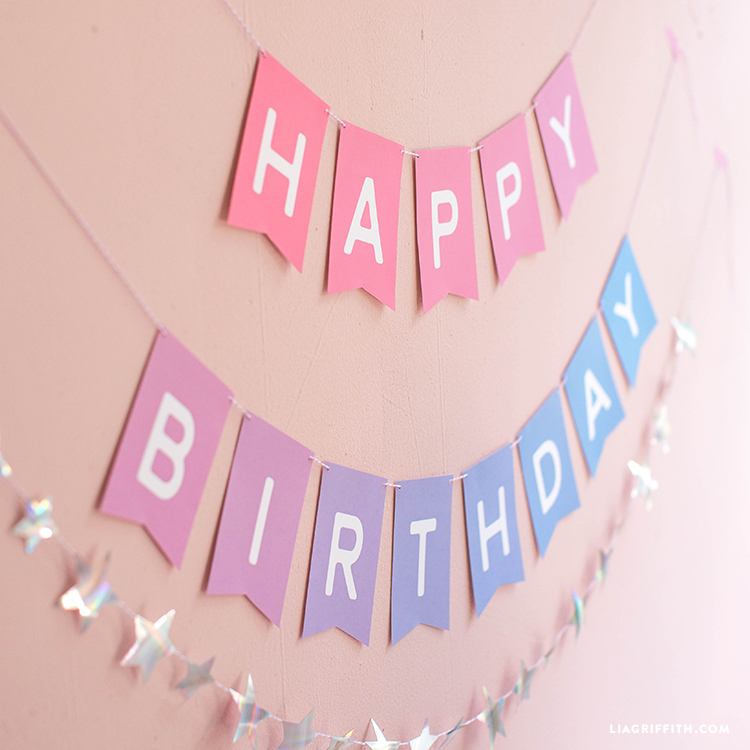 Run a length of twine through the letters and you’re ready to hang it up for your party!